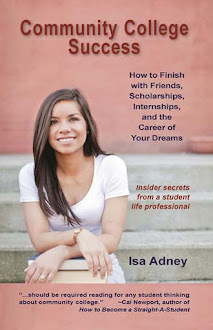 One of the most popular questions I get is what to bring to college, and while I've done quite a few posts with lists of supplies, I wanted to tell you about some particular school supplies that I think you'll LOVE. In the interest of full disclosure, I am not getting paid to write this post. 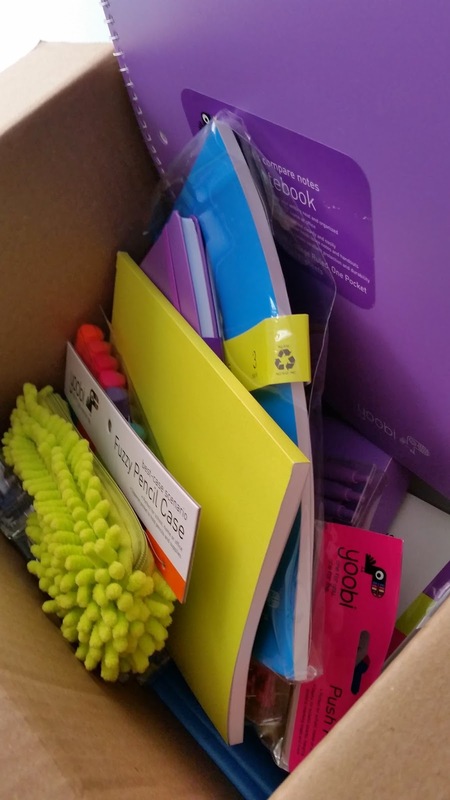 I was sent some free school supplies, but was under no obligation to write about them. I'm writing about them because I think they're AMAZING and I wanted to tell you about it. I'm also writing about them because I have met and really admire many people who work for this company, including its founder. 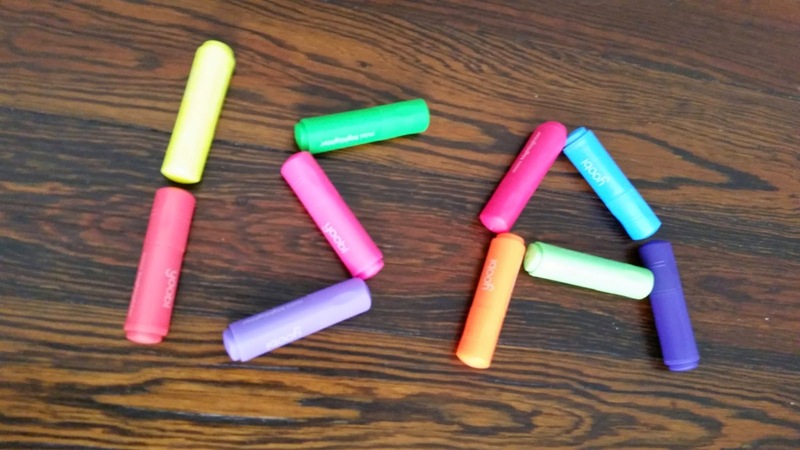 They're basically awesome, so are their school supplies. So my opinions, all my own. And yeah...I'm totally biased due to awesomeness. 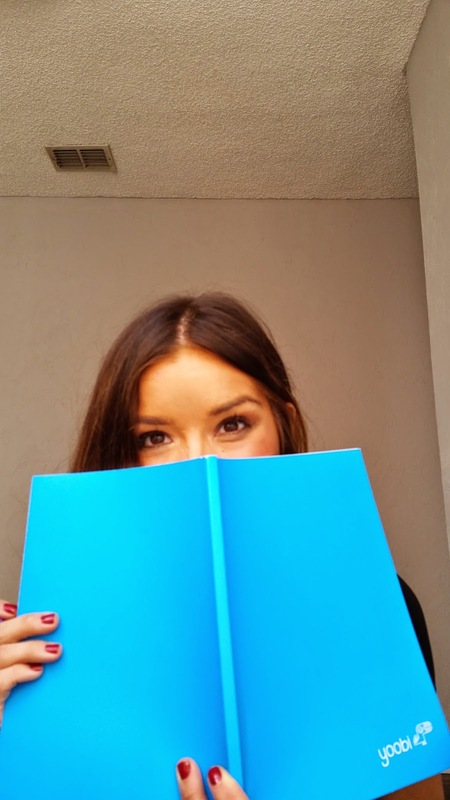 I'm talking about Yoobi, a very new and dynamic school supply company that also gives back! 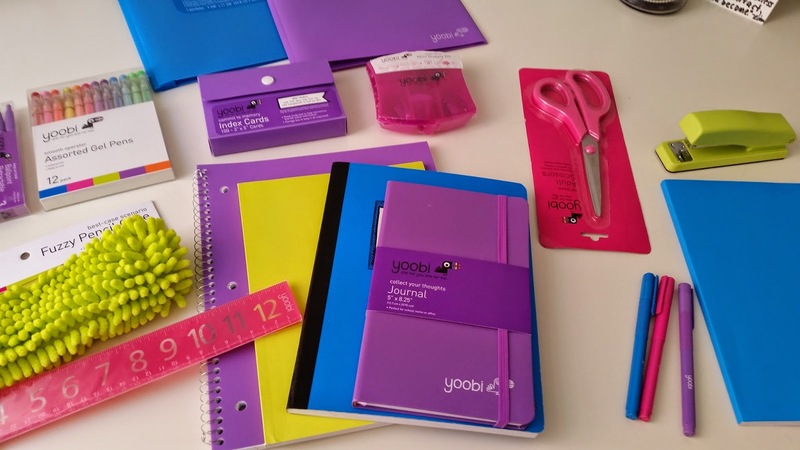 For every item purchased Yoobi donates school supplies to schools in need in the U.S. They also partner with the Starlight Children's Foundation to donate supplies to students attending school in a hospital. I've heard stories about how these kids light up when they receive these free supplies, and how grateful the teachers are to be able to do activities they couldn't have done without the right stuff. 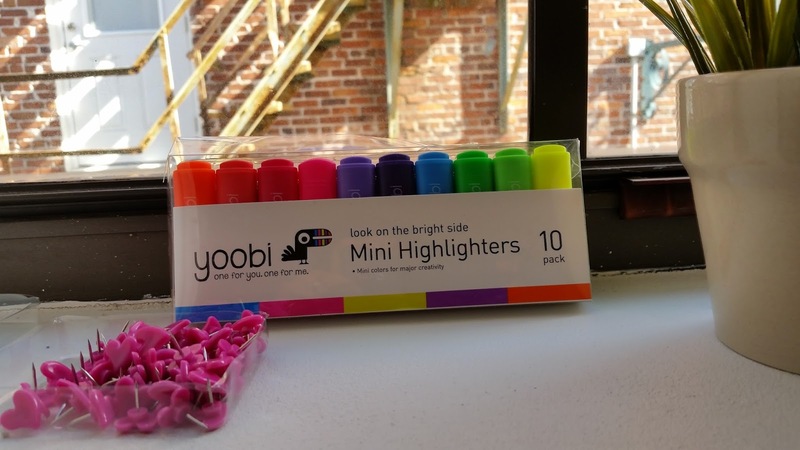 The Yoobi cause and passion alone are enough to make me want to get my own office supplies from them, but to top it all off, their stuff is SO MUCH FUN! The box that arrived - made me smile instantly. Everything laid out on my desk! I immediately rubbed my face on this pencil case. It's so soft. 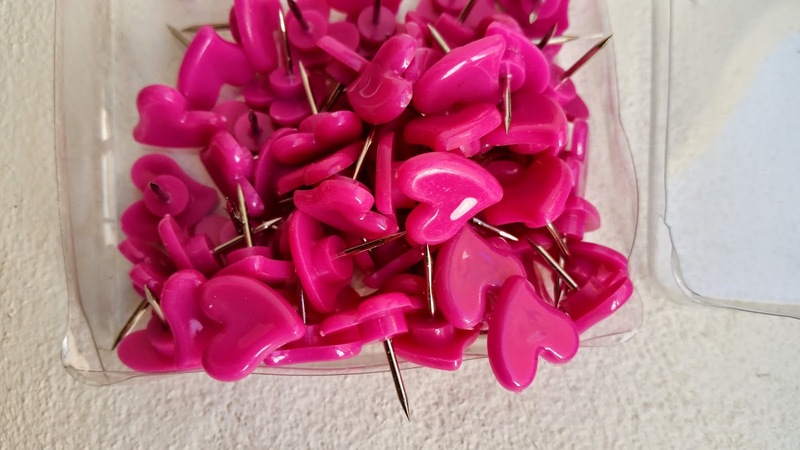 The <3 pushpins & highlighters stole my <3 immediately. These supplies literally make you want to be creative and fun. I'm serious. Oh look, Yoobi gave me an idea! As you can see, I had alot of fun with this. And honestly, the supplies have this playfulness that's impossible to ignore. And the people I've met who work at Yoobi really care. The first words out of their mouths are about the problems they want to solve with Yoobi, and the joy they get from seeing the joy on the kids' faces when they do their big donation events. It's just plain inspiring. For Love or Money? Thoughts on Choosing a Major.